To his credit, the nation's first black U.S. Attorney General, Eric Holder, has not shied away from discussing race and its impact on our criminal justice system. Shortly after he was confirmed, he famously said that ''in things racial we have always been and continue to be, in too many ways, essentially a nation of cowards''—a statement for which he was roundly criticized, but for which he deserved praise. The pervasive influence of race on the criminal justice system is well-documented and shocking. Earlier this year, in a case that challenged the systematic disenfranchisement of former felons in Washington State, Farrakhan v. Gregoire, the Ninth Circuit Court of Appeals issued a watershed opinion that recognized ''compelling'' evidence of racial bias in the state's criminal justice system. The court found that, ''in the total population of potential 'felons'[in Washington State]…, minorities are more likely than whites to be searched, arrested, detained, and ultimately prosecuted.'' National statistical data bears that out: In 2007, African Americans represented 13 percent of the general population, but they comprised 39 percent of the nation's federal prison population. Recognition of these troubling disparities is coming not just from the courts, but also from federal law enforcement and Congress. Recently, the Brennan Center for Justice released an updated report, ''Racial Disparities in Federal Prosecutions.'' Based on a convening of 13 former U.S. attorneys, the report shares their views on the racial and ethnic disparities in the system and offers ''guidelines'' which outline reform measures for combating these disparities. Their views are illuminating. We hear directly from former federal prosecutors—the gatekeepers of the nation's criminal justice system—that the way we choose to prosecute cases has a disparate impact on people from different racial and ethnic backgrounds. Some members of the 111th Congress have been equally focused on the problem. In the House of Representatives, legislation has been introduced that would establish task forces across the country to collect and review information about the exercise of prosecutorial discretion and its impact on racial and ethnic minorities. Last fall, the House Judiciary Committee's Subcommittee on Crime, Terrorism and Homeland Security recognized the urgency of confronting the issue when it held a hearing on ''Racial Disparities in the Criminal Justice System.'' And two months ago, the Senate Judiciary Committee unanimously passed bipartisan legislation that will reduce, but not eliminate, the disparity between sentences for crack and powder cocaine (a disparity that disproportionately impacts African-American males and contributes to their overrepresentation in the nation's prisons)—moving one step closer to eliminating the disparity altogether. 1) To better understand how the practices of law enforcement and prosecutors may contribute to these disparities, the department should take steps to improve data collection in this area. The data gathered may help to explain why the disparities exist in the first place. 2) Although the department has long encouraged innovation in state criminal justice systems, it can and should go even further. The department should support the creation of state-level task forces dedicated to identifying and eliminating racial and ethnic disparities in state criminal justice systems. DOJ should also create a federal-level task force to examine the causes of these disparities at the federal level, if they exist. 3) The department should continue with efforts similar to the work of its Sentencing Working Group—focused examination of problems that ail the criminal justice system and a concerted effort between DOJ and advocates to devise solutions that will reform the system. This kind of collaboration is crucial to any effort to address racial disparities. At least two of these action items are recommended in the guidelines found in ''Racial Disparities in Federal Prosecutions.'' The guidelines urge corrective action in six key areas ranging from making charging decisions and plea offers to sentencing policy reform. They were originally published in the Federal Sentencing Reporter in 2007 but have yet to be adopted by the Justice Department. Adopting the guidelines and the related action items now would go a long way towardsreforming the system and eradicating disparities. 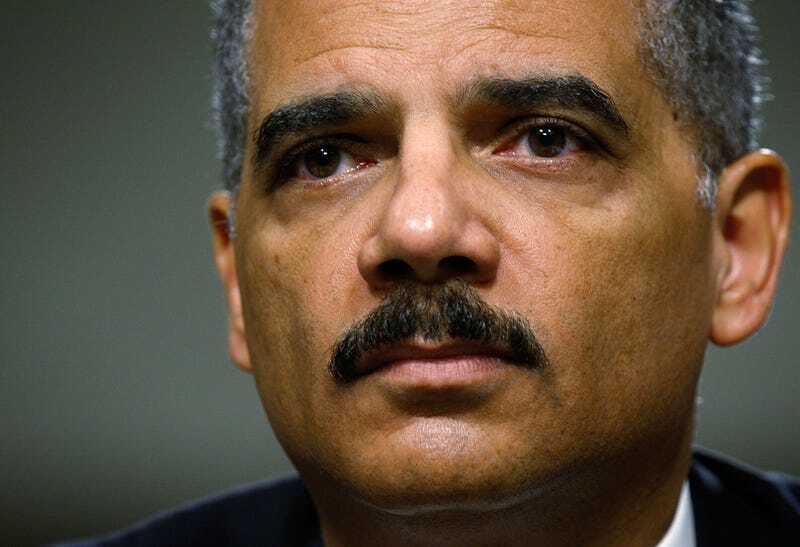 We applaud the courage that Holder has shown by confronting these problems, but more can be done. We urge the attorney general to continue on this path and to take even bolder, decisive and immediate action to correct the inequities that still infect the nation's criminal justice system. These problems, and the nation, can't wait. Nicole Austin-Hillery is director of the Washington, D.C., office of the Brennan Center for Justice at NYU Law School. Like The Root on Facebook. Follow us on Twitt er.